SD Voyager features Susana Jones, Urban Yogi and the work she's doing around San Diego. 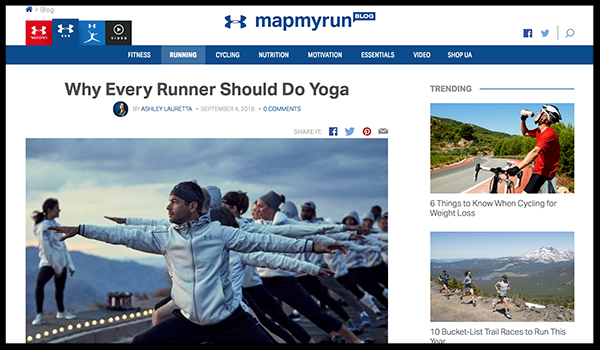 Under Armor's Map My Run Blog features an interview with Susana about yogic tips for runners. Award winning producer and maker of Yoga music, DTO, interviews Susana on how Yoga and music raise our collective consciousness. Om My Goodness, waxes philosophical with Susana about the emerging field of Yoga Therapy and living a Yogic life. Humble Hype features Susana to discuss Yoga Therapy and how we can improve our physical and mental health from within.